In 2009 Brock Parker made headlines, winning not one but two World Series of Poker gold bracelets in the same week. In the last four years the Maryland native had made six return trips to WSOP final tables, including the 2013 National Championship, but he was unable to capture bracelet number three. That all changed on Tuesday when the American defeated Richard Ashby heads up to win Event #10: $10,000 Limit Omaha Hi-Low Championship and $443,407. 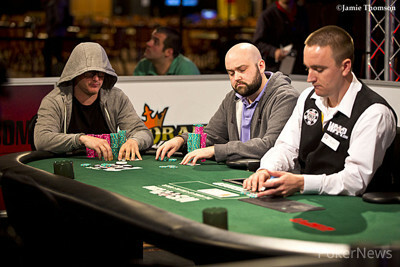 Parker entered heads-up play with a slight advantage, but Ashby fought back and took a two-to-one lead. The Brit was unable to close, however, and Parker stormed back to once again flip the script. On the final hand, Parker flopped a straight against Ashby's overpair, and the former avoided a full house to scoop the pot and win the tournament. 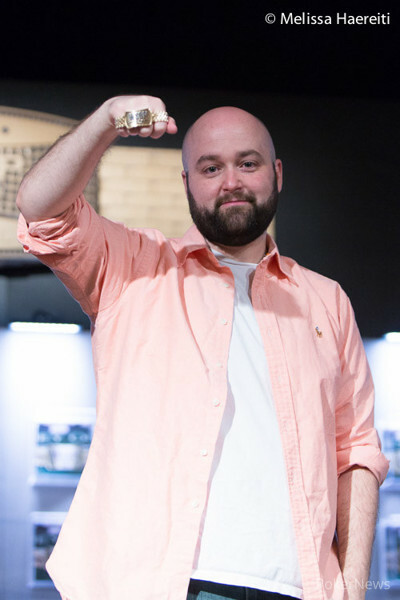 Along with his third piece of WSOP hardware, Parker now has over $3.1 million in career live tournament earnings. 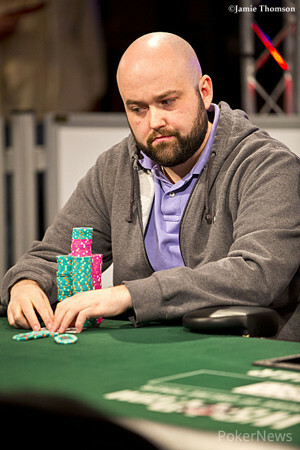 Ashby, who won a bracelet event in 2010, now has over $1.9 million in career earnings. Viatcheslav Ortynskiy was the chip leader entering the final day, and retained his lead heading into the final table until he spiraled out of the event in fifth place. The Russian was the first player to eclipse two million chips, but a poor run of cards decimated his stack and left him with only a few big bets. On his final hand, Ortynskiy was all in with a pair of jacks and a poor low draw on an ace-high board. Shirley Rosario held a pair of aces and a better low draw, and scooped the pot. Rosario and Melissa Burr were the only two women in the field on Day 3, and both made the final table. Unfortunately for them, Burr exited in eight place and Rosario in fourth place. Ashby and Parker weren't the only players among the final 18 with previous WSOP wins - the third and final day also featured Perry Friedman, Jeff Lisandro, Andrew Brown, Eli Elezra, and Dan Kelly. 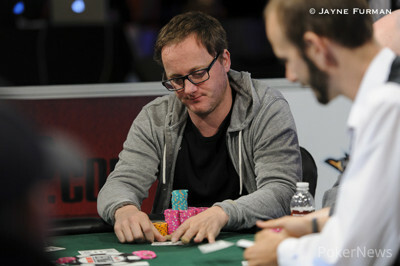 Only one member of that quintet, Kelly, was able to reach the final table, and he promptly exited in ninth place. Cash game specialists Ofir Mor and Jason McPherson were able to reach the final table, but ultimately came up short, busting in third and sixth places respectfully. Parker is the second player this summer to lock up their third bracelet - Vanessa Selbst captured number three in Event #2: $25,000 Mixed-Max No-Limit Hold'em - and he too joins an eclectic group of three-time winners like Chip Reese. Congratulations are in order for him and all of the finalists. Be sure to keep on checking back for live updates from all of the tournaments at the 45th annual World Series of Poker right here on PokerNews.com. Until next time, good night from Las Vegas! Richard Ashby Eliminated in 2nd Place ($274,019); Brock Parker Wins! Brock Parker raised on the button, Richard Ashby reraised, and Parker called. The flop fell , and the two capped the action, putting Ashby all in. The turn was the , giving Ashby outs to make a full house, but the bricked off on the river. 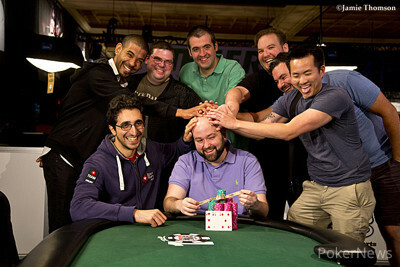 The Brit earns $274,019 for his efforts, while Parker pockets his third career WSOP gold bracelet. After chopping two all-in pots, Richard Ashby was once again all in and at risk against Brock Parker. Ashby's kings held up on a board of , and the Brit doubled through. Richard Ashby raised on the button, Brock Parker reraised, and Ashby called all in for 155,000. The board came , and Ashby doubled with a pair of fives and a low. Brock Parker raised on the button, Richard Ashby defended, and the flop cae . Ashby led out, Parker called, and Ashby led out again on the turn ( ). Parker called. The river was the , and Ashby check-folded to a bet. Richard Ashby raised on the button, Brock Parker called, and the flop fell . Parker check-called a bet, and both players checked on the turn ( ). The river was the , Parker bet out, and Ashby called. Parker showed , and Ashby flashed [axhx9x2x] before mucking. Richard Ashby called a preflop raise from Brock Parker, then check-called a bet on a flop of . Both players checked after the turn brought the , and Ashby check-called a final bet on the river ( ). Parker showed for a flush, and raked in the pot. Richard Ashby raised on the button, Brock Parker called, and the flop was . Parker check-raised, Ashby called, and the turn was the . Parker led out, Ashby called, and the river was the . Brock fired out a final bet, Ashby once again called, and both players tabled their hands. Both players, the dealer, and the floor person all stared at the board for a few seconds before they realized that Parker scooped with a set of threes and a live five. Parker scooped another small pot after that one, and now has a more than two-to-one chip advantage. Richard Ashby raised on the button, Brock Parker reraised, and Ashby called. The flop fell , Parker led out for a bet, and Ashby called. Ashby called another bet on the turn ( ) and the river ( ), then mucked when Parker showed for trip eights.